You may be sick of hearing about it, but when you live a normal life doing a job 9-5 and working “for the man” as they say, moments occasionally happen to transport you from the mundane and they are moments to cherish and remember (are they basically the same thing?). 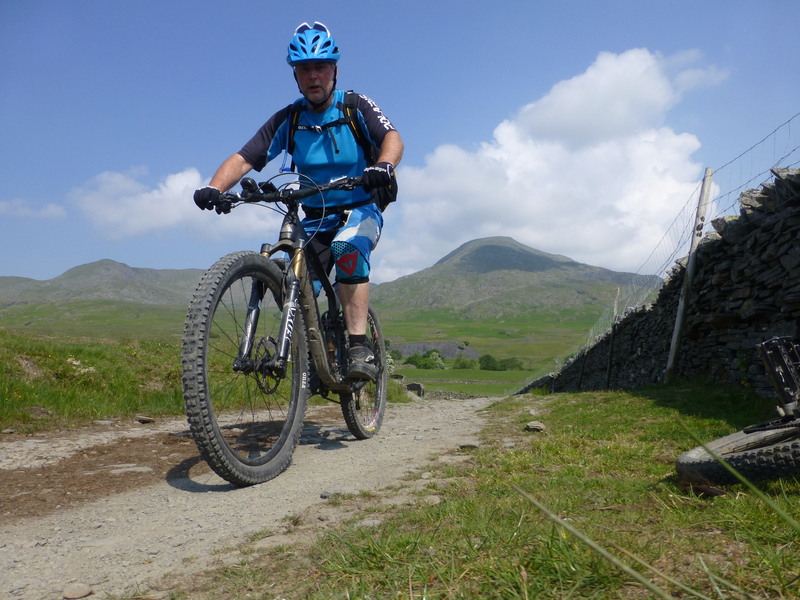 So when you spend 3 days in the Lake District with amazing weather, stunning views and fantastic riding, its natural you want to relive those events. So read the blog if you want to, or watch this for 5 mins. I’m currently trying to edit a video from last weekend in the Lake District, but with so much great riding its hard to decide what to cut out. So I may just make the most of my Vimeo account and load some complete POV clips like this one. To say that I was looking forward to this trip (3rd -5th June, last weekend) would be a little bit of an understatement! After April’s 5 day trip to Snowdonia, a trip to the Lake District with 7 of my mates and to have 3 days guiding by Tom Hutton (MTB Guiding), simply couldn’t come soon enough. The weather is always a concern when you pre-book a trip, invest some money and book time off work, and we were all secretly watching the weather and trying not to curse it by posting forecasts on Facebook – because it looked like we were going to be in for a treat!